If you're considering a trip to Disney's Aulani, we've got this review and extensive planning guide for you. In this post, we discuss everything you need to know about Aulani, from booking your room to flying there to how to spend your time at the resort. If you're completely new to Aulani, we recommend going through this entire post. If you're somewhat familiar, feel free to use our table of contents (below) to jump down to your intended destination. In many sections, we link to other posts because this post was already pretty lengthy. From the balcony of our studio villa, as the sun rises over the pristine waters of the Pacific, Aulani imposes something on us. There are the sounds—of birds, of waterfalls, and of the occasionally mischievous sprays and of the the nature. And there are the sights. There is the Waikolohe Valley, complete with the Waikolohe Stream and Pu'u Kilo mountain. On either side, the towers—Waianae and Ewa—with their depictions of Maui and Hina. In the distance, there is the beach, and then the ocean. It isn't just beauty that Aulani imposes on you. It isn't just Disney magic. With every second you're there, Aulani is imposing Hawaii on you. Now that we've got that bit of fun out of the way, onto business! Aulani, a Disney Resort & Spa is a Disney-owned and -operated resort in Ko Olina, Hawaii, on the island of Oahu (home to Honolulu International Airport, Waikiki Beach, and Pearl Harbor). Aulani opened on August 29, 2011. It was designed under the direction of Joe Rohde, a Disney Imagineering legend. Unlike most Disney resorts, Aulani is not located near a theme park. It is, however, a top-notch family resort destination, complete with a wide variety of amenities we'll discuss below. On property are three pools, ten food service options (including two sit-down restaurants), the first Disney-operated spa in the world, other in-house activities, and access to a wide variety of paid Hawaiian excursions. We're going to cover all of these in more detail below. Insofar as you're escaping to a destination without parks, that offers everything you'll need for your stay (including many in-house activities), and from which you can take excursions if you see fit, the experience is sort of like Disney Cruise Line. Unlike Disney Cruise Line, there's no included food and (of course) no cruise ship. Fire-pit storytelling with Uncle and Moana! Aulani is truly an amazing hotel, easily a step above anything you'll find near a Disney theme park. Immersion is at a prime—this is a Hawaii resort that celebrates Hawaii. This theme will come up throughout the guide, but Aulani is not just a typical Hawaiian resort or a typical Disney hotel. Finally, before we move on, we want to clarify that Aulani is really not that big. Yes, our activities list below is pretty extensive, but the space is not huge. It's much smaller than most Disney hotels. No two points are more than 10 to 15 minutes apart, and most of the activities and restaurants are within about 3-4 minutes of Pu'u Kilo at the center of the property. This is a tough question. Unlike a Disney parks destination, Aulani will not be a destination in itself for many. Most people who visit Aulani will be looking to do so as part of a larger Hawaiian vacation, and that's how we think it should be experienced. If you're interested in visiting Hawaii, Aulani is a fantastic resort to include in your considerations. Hawaii is a wonderful state with much to do, not just on Oahu (the island that is home to Aulani), but on the other islands as well. If you're going to be paying for a top resort experience, there's no reason not to consider Aulani, even if you don't have children (we don't). These hotels are all along the same beaches and walking distance from one to another (the Four Seasons is close enough that you can hop on their wifi). So yea, you're paying a Disney premium to stay at Aulani. If you have children or love all things Disney, Aulani is easily one of your best options in Hawaii, the only question is whether the price is right. There's no way to really answer the question of whether Aulani is worth the high prices. What we can do, though, is compare it to other Disney experiences (since people with kids and people who love all things Disney will likely be considering those as alternative destinations). This will no doubt get a full post in the future, but it's particularly obvious for the typical California/Florida Disney park fan to wonder whether they should branch out to Aulani or to another Disney destination. Let's get one thing out of the way: if you've only been to one of Disneyland Resort or Walt Disney World Resort, you should definitely go to the other before going out of your way to visit Aulani. These two destinations are at the cornerstone of every Disney destination you'll visit. Lounging around at Aulani sure is beautiful, but it's a lot of $$$ just for time spent in a beach chair! We've been to Hawaii together twice now and are frequent travelers outside of Disney. We both agree that on a dollar-for-dollar basis, we'd take most Disney destinations, including both United States parks, Disney Cruise Line, and Tokyo Disney Resort, over Aulani. The chief reason for this is simply that Aulani is a fantastic place from which to explore the destination of Oahu, but it isn't so much of a destination in itself, like the park resorts are. If you're looking for escapism and relaxation, Disney Cruise Line, even at its crazy prices compared to other cruises, offers better value. None of this is to say you shouldn't visit Aulani. But it really only makes sense if you're considering a trip to Hawaii and want to add a bit of Disney flare. Definitely don't visit it solely on account of it being a Disney destination (unless you've won the lottery). If you've ever stayed at Wilderness Lodge, Animal Kingdom Lodge, or Polynesian Village in Walt Disney World, you know how well-themed Disney hotels can be. Aulani is better than any of those. The resort is home to one of the largest collections of contemporary Hawaiian art in the world. From the lobby to the lagoon, every inch of property is designed and built with Hawaiian culture in mind. This isn't a traditional luxury hotel, and that in itself really makes it a place worth visiting. Aulani is pretty busy year-round, but spring, summer, and winter break seasons are no doubt the busiest times. ...and then "View Rate Calendar"
You'll be able to scroll through the prices (higher prices = peak season = higher crowds). During peak season, you'll need to get up earlier in order to sign up for activities and grab a pool chair. Once you've done that, though, you probably won't notice much of a difference. Since it isn't a theme park, you're just not going to find yourself in tons of lines. Lunch will take longer to get to you on busier days, and maybe the space will overall be a bit more crowded, but keep in mind that many people are spending their days away from the resort on excursions. Disney Tourist Blog suggests April/May and September/October. We don't disagree with their assessment, we just don't see significant upside or downside to different dates. We wouldn't be deterred from visiting Alauni at it's busiest, but we've read scattered reports of suggesting the busiest time can be awful. That said, as one cast member put it to us while we were there, "It's a resort, you never know what's gonna be busy, when, or why." The overriding concerns when booking a trip to Aulani are likely to be when you can find the time to really enjoy Hawaii and when the trip fits into your budget, don't let peak seasons get in the way of what works for you. As with deciding whether you should visit Aulani at all, deciding how long to visit is a really individualized issue. You can see most of what Aulani has to offer in a day or two. But, again, you're not there just to see Aulani, you're there to relax and/or experience the island of Oahu. If you’re looking to kick back and relax on a tropical vacation, spend as much time in Aulani as you need for that. If you’re looking to see Oahu, anywhere from four to seven days is good for seeing the island and taking in Aulani. Should you visit another Hawaiian island? Sure! We spent our honeymoon at Maui and loved it (our hotel of choice there is the Ritz-Carlton Kapalua, which features our favorite hotel lobby). Others rave about Kauai. You're all the way there, so add another destination. Can you have a perfect 7+ days in Aulani? Sure! Depending on how comfortable you are with travel (will a flight between islands mentally cost you a day? ), somewhere between 7 and 10 days is the amount you'll want to see two islands. Visiting Aulani, you're going to fly into Daniel K. Inouye International Airport, aka Honolulu International Airport (HNL). As we write this in early 2018, there's an ongoing "fare war" between airlines that has brought roundtrip flights from the west coast to HNL down to sub-$200 levels. So deals do happen on these flights, and you'll want to always be on the lookout. We have a post on how to always get the best prices on your flights. Looking at prices out of Chicago, you're generally looking at closer to $1000 roundtrip. If you book separate tickets (e.g. roundtrip Chicago to Los Angeles on one airline and roundtrip Los Angeles to Honolulu on another), you can bring that down by a few hundred dollars, but not much more. It's a long flight to Hawaii from much of the country! Happily, Hawaii is home to one of the best travel hacks around when it comes to flying on points. We've covered some ways to fly to Hawaii using points in a separate post. Most recently, we were able to fly nonstop from Chicago only because our United MileagePlus Explorer card got us access to a low rate using miles. We flew for 22,500 points per person (one way). We converted 45,000 Chase Ultimate Rewards points to United miles. That amount is less than what you'd get from a single signup bonus on the Chase Sapphire Preferred or Chase Sapphire Reserve. Aulani is located about 20 to 30 minutes by car from HNL. If you rent a car, remember you'll be paying $37 per night for parking. If you don't rent a car, we suggest taking an Uber. We took an Uber from around the airport to Aulani for $41. The reverse trip also cost us $41. Aulani is expensive, no two ways about it. We've got some tricks up our sleeve, but nothing that's going to get you a "cheap" trip. We've got a full post on this forthcoming, but we wanted to provide the quick highlights for how you can save. You can book Aulani through its website or by calling Disney at (866) 443-4763. We highly suggest you start your booking adventure by reviewing room rates and availability on the Disney website. This will give you a good anchor, both as to price and options, as you explore other alternatives. Go ahead and start your booking adventure at the Aulani website. Aulani usually has availability on some combination of third-party sites, like Expedia, Booking, and Hotels.com. In our limited research, these sites never have access to the cheapest rooms, and they barely beat the more expensive rooms on price. Nonetheless, it's always worth checking. The single best way to save on your Aulani vacation is to book by renting Disney Vacation Club points. We've written about our experience renting DVC points, from booking to our time at the resort separately. We used and recommend David's Vacation Club Rentals. In particular, a great way to save at Aulani is to find dedicated reservations through David's. These are reservations that are already booked (they can't be modified), but the DVC members who made them can't use them. How much can you save this way? A ton. In one recent example, we saw four nights in a standard room going for $3,237 through Disney's website. Through David's, that exact same stay was $1,496. That's a savings of $1,741 or 53%. You're getting more than half of by booking that reservation. For our stay, we paid $2,480 for an ocean view studio villa that was going for about $4000 on our dates. That's savings of around 38%, which isn't quite the 53% from the example we cited above, but it still pretty great. There are two more ways to save on booking Aulani that we cover in more detail in other posts. First, you can book Aulani using Chase Ultimate Rewards points. Second, you can book Aulani using the Citi Prestige 4th Night Free benefit. Aulani has 359 hotel rooms and 460 vacation club villas. 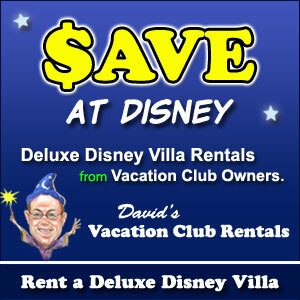 You can book the villas even if you're not a DVC member by either renting points or just paying a cash rate. There are five view types for resort rooms, which sleep four adults. There are also suites that sleep five or six adults. Four types of vacation club villas are offered: studio, 1-bedroom, 2-bedroom, and 3-bedroom, these also offer a variety of view types. Our ocean view was spectacular! The best view is the ocean view. Our deluxe studio ocean view villa came with a stunning view and was itself quite an enjoyable space. Honestly the beauty of this view quite possibly surpasses even the Theme Park Views of Magic Kingdom at Walt Disney World. The bed was quite comfortable, the shower was great, and it was nice to have a small kitchenette. The rooms at Aulani are definitely some of the best in the Disney portfolio. When it comes to picking your room, what matters most is the view. Here's our two cents on that. The ocean view rooms (at least the one we had) are awesome. Since Aulani tends to close up pretty early, you won't have much trouble waking up and enjoying the tranquil sunrise over Waikolohe Valley (note that these rooms face southwest, so you don't see the actual sun). That said, we didn't actually spend much time in our room. Most of our lounging time was spent by the pools or at the bars. If weather is bad, you'll spend some time in your room, but how necessary is a good view during bad weather? While it isn't a complete destination in itself, Aulani offers a host of activities and excursions to other parts of Oahu to keep you busy while visited. Let's start with excursions. Most people who come to Aulani aren’t planning to stay at the resort their entire trip. Most are there to see (at least) the rest of Oahu. To that end, Aulani partners with tour agencies for tours of and experiences on Oahu and even some other island. You can see a list of excursions at the Aulani website. Excursions are an easy way to experience different sites and activities without having to plan them yourself. In many (but not all) cases you’ll be picked up from the hotel, taken to your activities, and returned to the hotel. There are a few downsides to excursions. First of all, they’re expensive for what you get. In most cases, it will be cheaper to rent a car and do the same activities yourself. Second, you largely don’t get to pick and choose your activities. Some excursions differ, allowing you to choose your activity at a bay (lounging, surfing, snorkeling, etc. ), for example. Relatedly, it’s not up to you how long you spend at the different spots if your excursion has multiple stops. We went on one excursion at Aulani, the Majestic Circle Island Tour. Overall, we probably would have been better off renting a car and doing the same route ourselves. The bus driver had a wealth of knowledge, and that certainly made the tour better, but we were disappointed with the timing at many of the stops. As a final note, these tours aren’t operated by Disney. Don’t expect any Disney “magic” along the way, and understand that Cast Members at Aulani might not be particularly knowledgable about the excursions. The front desk couldn’t even tell us with certainty where (or when) we’d be picked up. You can book excursions in advance online, by phone, or at the excursions desk at Aulani. Aulani has an on-site rental car service through Alamo. We didn't rent a car during our stay, but this would definitely be an economical way to get around the island for a day or two. You can also rent a car when you arrive at the airport. Remember, if you're renting a car for more than a day and need to pay for parking at Aulani, you're looking at $37 per day. If you've ever been on a Disney Cruise, you'll notice one big similarity between the cruise and Aulani–every day comes with an itinerary of activities for guest to partake in. On the cruise, this is the "Personal Navigator." At Aulani, it's the Daily 'Iwa. These include things like bracelet making, tours of the grounds, making Stitch's Space Goo, and dance lessons. Some activities—like fire pit storytelling—are daily. Others occur two to three times a week. Some are free, others, particularly supply-intensive crafts, have a fee. Of these, we most highly recommend the tours (we took two, a nature tour and a cultural tour). 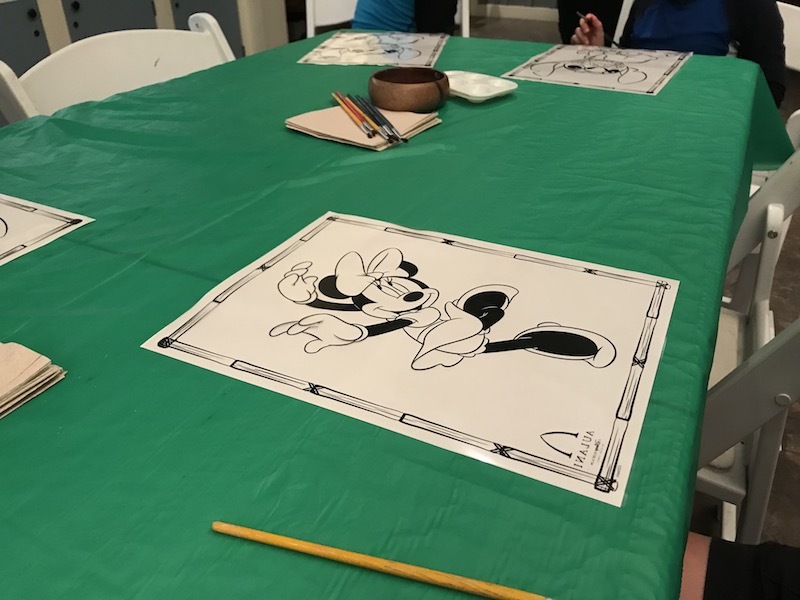 We also enjoyed the animation class, which included a lesson on drawing a Disney character and a chance to paint an animation cell. If you're planning to do the activities on the Daily 'Iwa that require advance signup, get there early to signup. Confirm with the front desk, but signup likely starts at 7AM or 8AM at the Pau Hana Room. These activities do fill up. When we went at about 9AM to sign up for the animation class, we were waitlisted (luckily they had space for us). Aulani has three pools, one of which is adults only. There are also a few hot tubs, one of which is adults only. All the pools are located in the same area, Waikolohe Valley, between the two towers of rooms. Additionally, at the rear of Aulani is Kohola Lagoon. The lagoon is good for a variety of activities, including snorkeling, boogie boarding, and paddle boarding. You can rent some supplies for free and some for a fee from Makiki Joe's Beach Rentals. If you're struggling to find seating, the beachfront is likely your best option. Within Waikolohe Valley, you’ll also find a few other activities. Rainbow Reef is a dedicated pool specifically for snorkeling. Emily preferred the snorkeling in Rainbow Reef to the snorkeling in the bay. Snorkeling costs $20 per day or $39 for an all-stay pass. We recommend the all-stay pass. Whichever pass you get, you'll have access to gear at both the bay and Rainbow Reef. Also within Waikolohe Valley is Waikolohe Stream. This lazy river winds along a 15-minute loop. Its waters are (as its name suggests to those who speak Hawaiian) a bit mischevious. You can avoid getting soaked with some effort, but we wouldn’t bring anything that can’t get wet into the river. For smaller kids, there are Menehune Bridge and Keiki Cove. Menehune Bridge is a jungle-gym structure with water spouts that kids can climb and explore. Keiki Cove is a simpler space for the smallest of kids, with just a few water spouts shooting out of the ground. Finally, you’ve got two waterslides at Pu'u Kilo mountain. One of these you ride on your own, the other in an inner tube. Neither is particularly great, but they’re both worth at least one ride (and kids seemed to love them). For most of our stay, the waits for these were about 10 to 15 minutes (these times aren’t posted). Aunty's Beach House is a "supervised activities club" for kids aged 3 to 12. Basically, this is a place to park your kids in the care of Disney counselors for the day. The activities at Aunty's Beach House are listed on the Daily 'Iwa. Since we don't have kids, we can't say much more about it. We will say that the line for Aunty's Beach House was building at 7AM when we went to breakfast one day. We don't know why the line was so huge, but you'll definitely want to look into this before planning to drop your kids off right at open. The Pau Hana room, the community room where most activities take place, also rents out blu-rays (each room has a blu-ray player). We fell asleep to a couple of these during our trip. Most are G or PG-rated Disney movies, but they have a short list of movies they don't keep on display (just a few action movies). They also have board games in the room, but we didn't inquire as to whether these were for rent, for using there, or only available during certain activities. Fun fact: Laniwai at Aulani is the first Disney-operated spa in the world. While other Disney properties have spas, they are operated by third-party contractors. The only spa service we enjoyed was a $70 haircut (for a man! ), but we did take the complimentary tour of the spa, offered daily at 5PM. We suggest taking this tour, as it was great to see how much care Disney put into building an amazing spa. This will also be a good way to judge whether you'd like to use the services. We actually didn't do the KA WA'A Luau at Aulani during our stay. This was due to a mix of factors, ranging from cost to past luau experience to us being vegetarians (there are always options, but it isn't quite the same). Honolulu Family has a good review of the luau. You can also find more information (and book) at the Aulani website. The only thing we'll note is that getting a space on short notice can be difficult. While we were there, an agent mistakenly called our room twice to leave messages saying that there were no same-day cancellations. We're working travelers. Between the two of us, while traveling full-time, we have two blogs, a part-time job, and a remote volunteer gig. Wifi is extremely important to us. Unfortunately, the wifi at Aulani was some of the worst we experienced in the world. It was so awful that at times the only way we could access the internet was to use the Four Seasons wifi, and this was while we were on the side of Aulani opposite the Four Seasons! Are we intentionally burying this in this guide? Yes. Because we had an amazing time being disconnected, and because we know many of you don't need to be constantly hooked in. If you do, though, know that Aulani is going to give you some trouble, and maybe consider getting a hotspot or purchasing extra data through your phone. There are a total of ten food service options at Aulani. We're going to break them down by type, from the two proper sit-down restaurants to poolside service. 'AMA 'AMA and Makahiki are the two proper restaurants at Aulani. In brief, 'AMA 'AMA is a little nicer with a more elegant, intimate vibe and table service, while Makahiki is the more fun-loving spot with a buffet. 'AMA 'AMA serves breakfast, lunch, and dinner. The menu is a la carte with table service. We had breakfast and dinner during our stay. 'AMA 'AMA is located at the back of the resort, overlooking the lagoon. Smaller parties who arrive earlier will get seated at the back of the restaurant, directly overlooking the lagoon. It's a breathtaking way to spend sunrise and sunset. Makahiki is buffet style, serving breakfast and dinner. The restaurant is located in the ground floor beneath the entrance to the hotel. It doesn't have much of a view, just a patio from which you can see Waikolohe Valley. Breakfast is a character meal (we took a picture with Mickey before and saw Pluto and Minnie in the dining room). Dinner is sometimes a character meal, so check the latest schedule before booking. If you're visiting Aulani, we definitely suggest trying both of these restaurants. Our loyal reader is wondering how we made it this far without mentioning the bars yet. Well, here ya go! Off the Hook is the poolside bar at Aulani. It was also where we spent the majority of our waking hours (well, maybe not majority, but close). The bar serves the standard poolside menu (the same menu you can get delivered to your chair). Service at the bar itself was always attentive (shoutout to cast member Cassie, who really made our time at Aulani fantastic). There is limited seating around the bar (children in particular are not allowed to sit at the physical bar). The one evening we sat at a table we found the service a bit slow, so we stuck to the bar after that. If you're looking for sports, Off the Hook is going to be the place to be (the only time we saw it truly full was during March Madness). The ‘Ōlelo Room is a lounge-style bar located next to Makahiki and open in the evening hours from 5PM to 11PM, with happy hour from 5PM to 7PM. It took us a few days to truly appreciate ‘Ōlelo, but it's a fantastic bar. ‘Ōlelo is the Hawaiian language, and the bar is a tribute to the sounds and words of ‘Ōlelo. Most fixtures in the bar are labeled with their Hawaiian terms, and the walls feature a collection of items so you can learn some ‘Ōlelo while enjoying your drinks. ‘Ōlelo offers a drink menu similar to the poolside menu, but a unique food menu and a few unique drinks. ‘Ōlelo doesn't have televisions, instead relying on live music for entertainment. Wailana Cafe opens at 6AM but serves only coffee-style beverages until 11AM, at which time it starts serving a limited alcohol selection. It closes at 5PM. While we visited Wailana almost daily for coffee (which was good), it's a small space and never really suited us as a bar during the day. From 11AM until 5PM they serve the poolside menu and their expanded coffee options. Ulu Cafe is the primary quick service option at Aulani. For breakfast, the cafe serves some basic hot options (sausage, eggs, potatoes, french toast) starting at 6:30AM. They switch over the lunch at 11AM, serving a range of Poke Bowls (including build your own), flatbreads, and sandwiches. There are also basic pastries and other packaged items available throughout the day. Ulu closes at 8:30PM. There is limited seating around Ulu, but it's not a place you're likely to want to hang out. For a quick bite during the day, stop by Mama's Snack Stop. From 11AM to 5PM, you'll find a small assortment of very basic items (think chicken fingers and sandwiches). Next to Mama's Snack Stop is Papalua Shave Ice. Not much to say about this one, it serves Hawaiian shave ice, inclduing with Mickey ears for an upcharge. If you've never had shave ice, definitely give it a try. Finally, there is both room service and poolside service available at Aulani. The Poolside Menu is the same menu you'll get at Wailana and Off the Hook, but with service to your pool spot. Just flag down a server as they walk around for a menu and to place an order. The room service menu is pricey but decently ranging. We were pleased with how quickly room service arrived when we ordered at about 10PM. If you've actually made it to this part of the guide, congratulations! It's hard to know exactly how to conclude the 3,500 words above, but we'll try. Aulani, a Disney Resort & Spa, is a special place. It's a special Disney place, and it's a special Hawaiian place. Should it be on every Disney fan's bucket list? Definitely. Should it be on every family traveler's Hawaiian trip radar? Definitely. But as we've said again and again, Aulani should not be your entire destination. There are better Disney vacations for that, including Disney Cruise Line, which also lacks the Disney parks. If you've decided, how can you cut down on costs? Well, that's where travel hacking comes in. We caught the perfect storm. We got a discounted room through David's Vacation Club Rentals. We got a discounted flight using points through our United MileagePlus Explorer Card. If you're past the initial decision stage and are planning your trip, congrats! You're going to have an awesome time! If you're on the fence and concerned about money, be patient! Subscribe to our newsletter, and we'll keep an eye on deals and let you know as they pop up. Read our tips on booking the cheapest flights and keep an eye out for low fares. Even better, put in place a plan to fly to Aulani on points! Let us know if you have any questions or comments. We're happy to look into things and definitely happy to correct anything we got wrong. And when you finally make it to Aulani, be sure to have a Magical stay!